This double-strength, premium clear vanilla extract (artificial) adds rich vanilla flavor and will not discolor your whitest frostings, cakes, or meringues! Perfect for making pure white wedding cakes. It also offers a less expensive alternative to pure vanilla extract. 6040-0600B A natural fruit acid added to hard candy and creams. 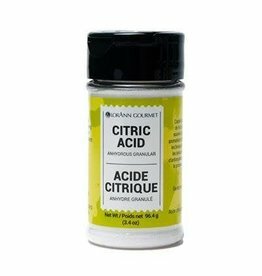 Citric acid will enhance the taste of all LorAnn fruit flavors. 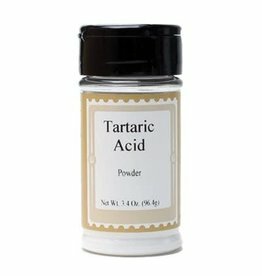 6150-0600 Tartaric Acid is a natural crystalline compound most often found in grapes and is the principal acid in wine and the component that promotes aging and crispness of flavor. 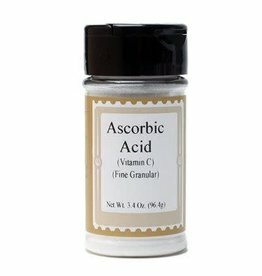 6015-0600 Ascorbic Acid (Vitamin C) is an antioxidant used as a preservative. 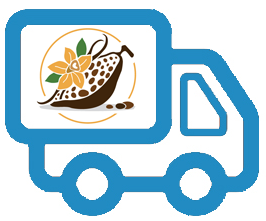 3010-0800 LorAnn's finest Pure Vanilla Extract uses only the best vanilla beans grown on the islands of Madagascar. 6085 Liquid lecithin is an oil-like extract from soybeans used to preserve, emulsify and moisturize foods. 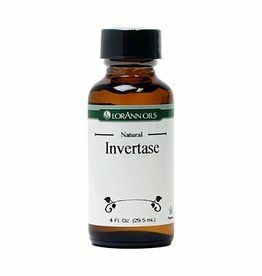 7090 Invertase, also known as Fermvertase, is a natural enzyme used to change fondant from a solid to a liquid. It is also used in commercial baking and candy making for moisture retention. 0770-0800 Lorann's baking & flavoring emulsions are great for cakes, cookies, frostings, fillings, and desserts. 0744-0800 Lorann's baking & flavoring emulsions are great for cakes, cookies, frostings, fillings, desserts and even beverages. 6170-0600 Xanthan Gum Powder is used as a thickening agent and stabilizer in a variety of foods.